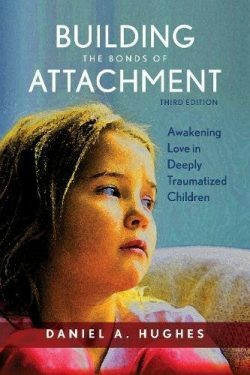 Building the Bonds of Attachment is the second edition of a critically and professionally acclaimed book for social workers, therapists, and parents who strive to assist children with reactive attachment disorder. This work is a composite case study of the developmental course of one child following years of abuse and neglect. Building the Bonds of Attachment focuses on both the specialized psychotherapy and parenting that is often necessary in facilitating a child's psychological development and attachment security. "A highly accessible resource for students and professionals as well as parents, Building the Bonds of Attachment presents a composite case study of one child’s developmental course following years of abuse and neglect. Weaving theory and research into a powerful narrative, Hughes offers effective methods for facilitating attachment in children who have experienced serious trauma. The text emphasizes both the specialized psychotherapy and parenting strategies often necessary in facilitating a child's psychological development and attachment security. Hughes steps through an integrated intervention model that blends attachment and trauma theories with the most current research as well as general principles of both parenting and child and family therapy. Thoughtful and practical, the third edition provides an invaluable guide for therapists and social workers, students in training, and parents. Updated examples of the components of DDP (affective-reflective dialogue, follow-lead-follow, interactive repair, deepening the narrative) and a discussion of the ties between DDP and new research in interpersonal neurobiology"